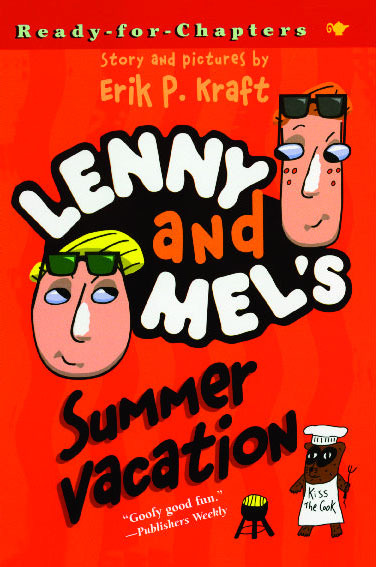 Lenny and Mel kick off their incredible summer vacation by doing something huge, something they haven't done since last summer: nothing. They loaf. They doze. They dig into the fridge and come up with new and exciting lunch foods. They're bored -- and it's great! Then August hits, and it's time to go to the cabin. This means piling into the car with Grandma and their parents at the crack of dawn, and driving miles away to breathe fresh air, climb trees, and play with sticks. Dad says it'll be an "adventure." But Lenny and Mel know this is parent code for "bad stuff." Why can't they just do what they want this summer? School Library Journal Similar to Dave Pilkey's Captain Underpants series...these light, comic adventures will find a ready audience. Publishers Weekly Goofy good fun.